Everyone loved this delicacy at our anniversary pop-up store in Takashimaya S.C. in Nihonbashi as the perfect little gift! 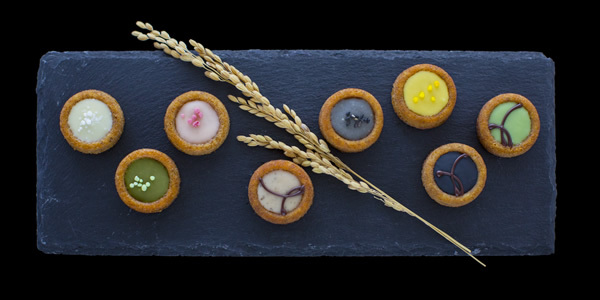 Take home the essence of Japanese seasons crafted into flavors by Happo-en. As the seasons flow, so do serendipitous encounters. 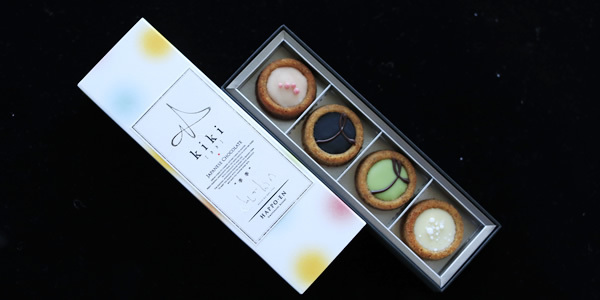 Fresh ingredients grown with care from fertile soil all over Japan were infused with chocolate to create “kiki,” our original Japanese chocolate bonbon series. Now this chocolate has been deliciously paired with Japanese walnut financier, creating a fresh new flavor. The key to perfecting a financier is in the almond powder and the flavor of slightly burnt butter. 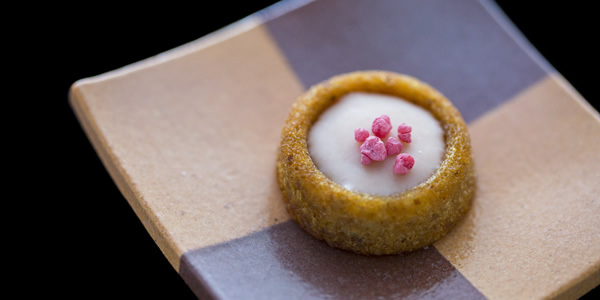 However, the secret ingredient in our financier, “KOGASHI,” is the Japanese walnut. A natural, indigenous variety of walnuts from Kamaishi City in Iwate Prefecture was used generously in the batter. We then chose jersey butter from Hiruzen, a volcanic mountain range famous for jersey dairy farming. Our final choice was wasanbon from Okinawa – brown sugar carefully refined using a traditional method. 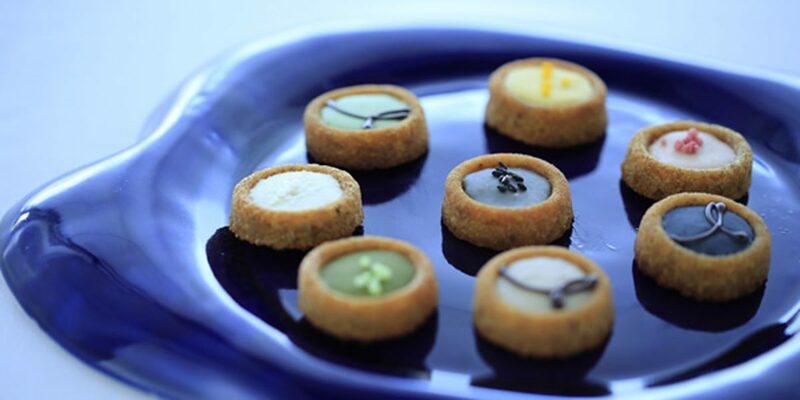 The magic harmony resulted in our financier having a full-bodied flavor and clean finish. Experience Japanese chocolate that melts smoothly, and the fragrant flavor of walnuts and jersey butter that deepens with each bite. We invite you to indulge in the perfection of “KOGASHI.” Enjoy it with your cup of coffee or tea on long autumn nights, or give it as a gift to your guest or someone you love.